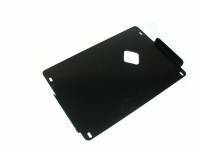 Engine Oil Pan Skid Plate is Rock Rated® and made from laser-cut 3/16" thick steel that is CNC folded for consistent quality and fit. 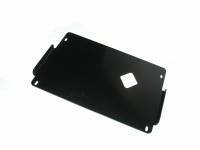 Then it's finished in an environmentally-friendly, and durable, black powder coating. It mounts solidly to the truck's frame and was specially designed for easy installation and requires NO drilling to install. In addition to the obvious protection these skid plates provide, they also help you get over obstacles by preventing your chassis cross-members from catching on whatever you're driving over. So you not only get added protection and peace of mind, your Toyota will be more capable as well! !